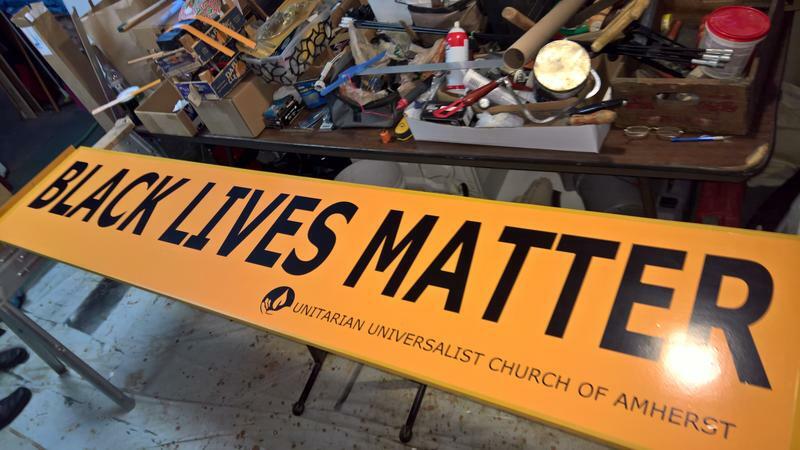 The religious community is coming together in response to the "Black Lives Matter" sign at the Unitarian Universalist Church of Amherst being vandalized last year. Rev. Robert Harvey of Calvary Episcopal Church was driving along Transit Road toward Main Street when he noticed the word "Black" in “Black Lives Matter” crossed out. Harvey said this unfortunate act of vandalism has only brought the community closer together. "We went from about two or three clergy meeting together and now, the last time we met, we were at about 13," said Harvey. "So it's a growing community that we're now beginning to talk to each other and learn about our faith groups across these denominational lines." Harvey, who was recently appointed president of the Williamsville Clergy Association, said racism has no place in their community. He experienced a similar incident at his former church in Silver Spring, MD. "Our church was vandalized right after the election with the words 'Trump Nation Whites Only' and my congregation is largely African American, Latino," he said. Harvey said they felt attacked, but the support they received from the community shortly after made a big difference. "When I came here and I saw this, I thought, 'Oh, my God' and I wanted to reach out to that church," he said, "because I thought like, what had happened to us in Silver Spring, so many churches had reached out to us there, I wanted to reach out to this church here." 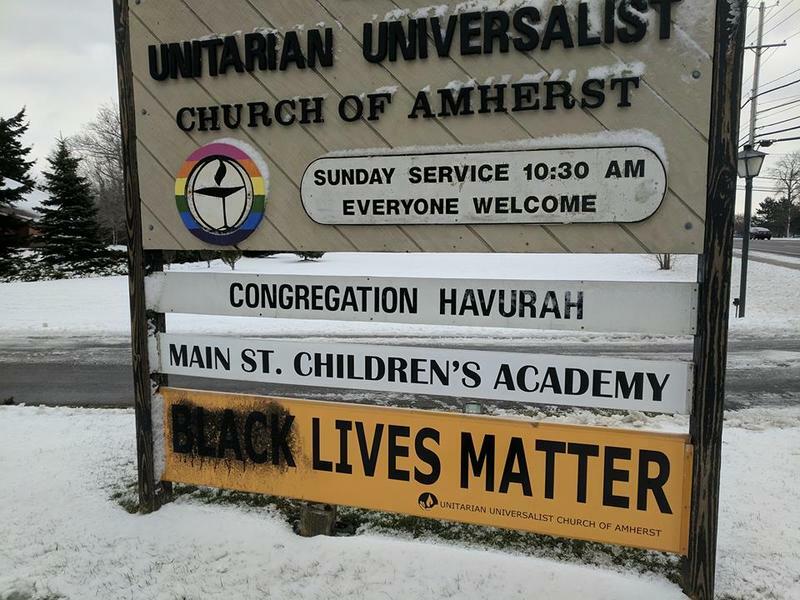 A "Black Lives Matter" sign featured at the front entrance of a Williamsville church has been vandalized. A large orange sign reading “Black Lives Matter” in bold black letters was unveiled Sunday at the Unitarian Universalist Church of Amherst.